Casio boasts some of the most advanced electronic watches in the world, with its G-Shock having become something of a cult object. 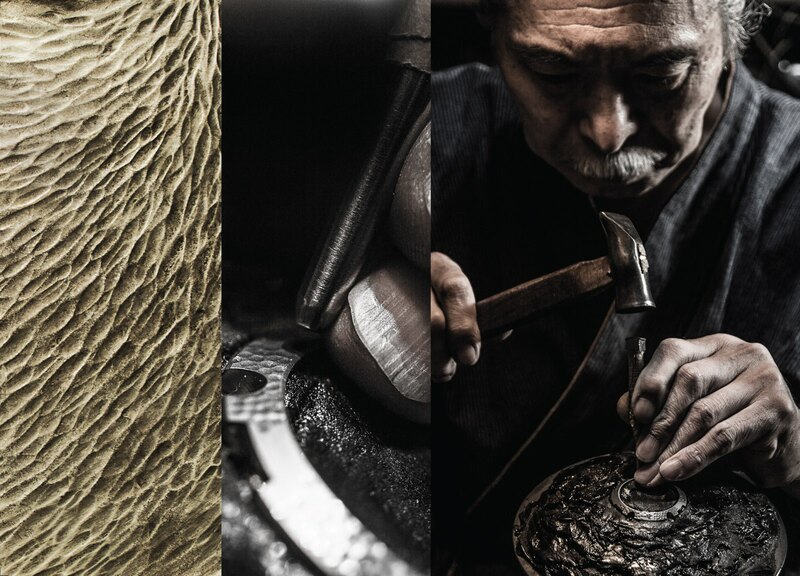 To mark 20 years of the top of the line G-Shock, the MR-G, Casio recruited master metalworker Bihou Asano to create a limited edition that blends high tech electronics and centuries-old artisanal decoration like tsuiki. As cool, high-end gadgets go, this is a winner. 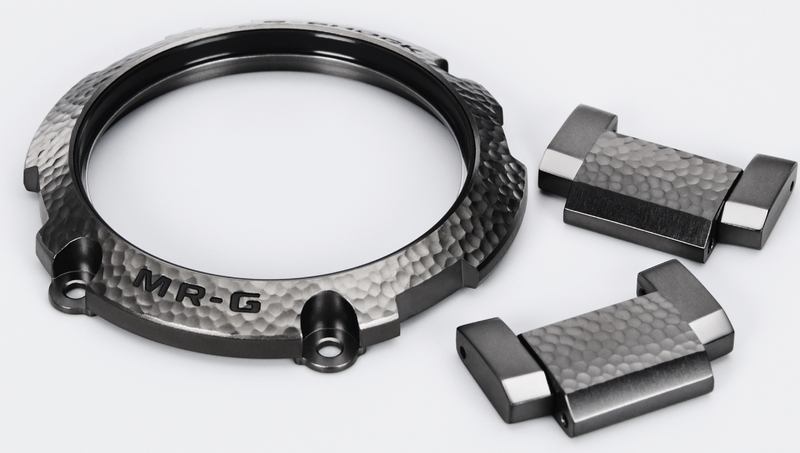 The MR-G 20th Anniversary “Hammer Tone” is made of titanium, with the bezel and bracelet links finished with tsuiki, a technique of hand-hammering traditionally used for copper ware and armour. 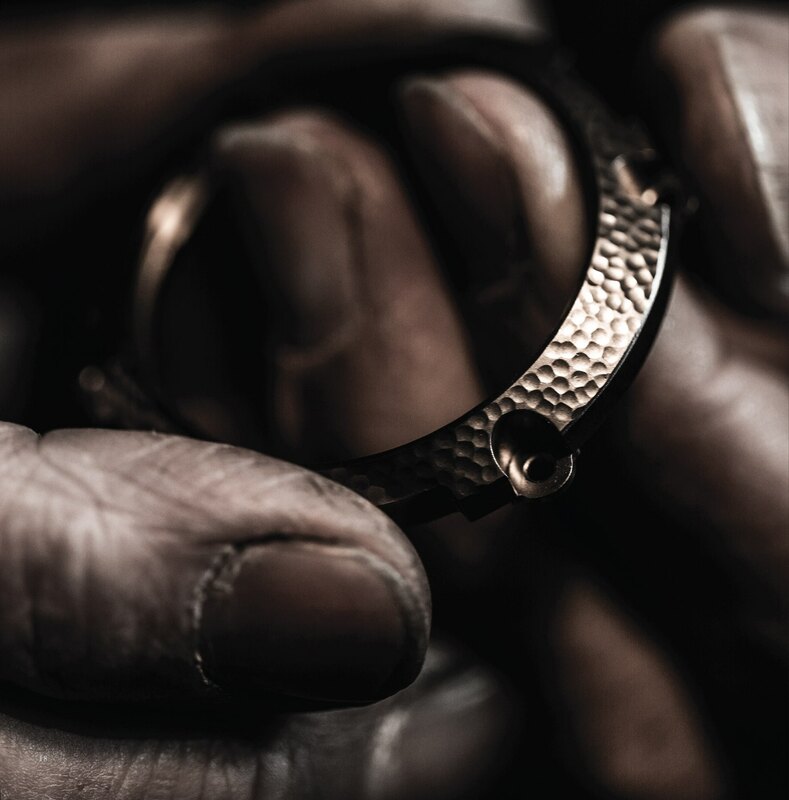 Each component is finished by hand, using a small hammer with a ball tip. 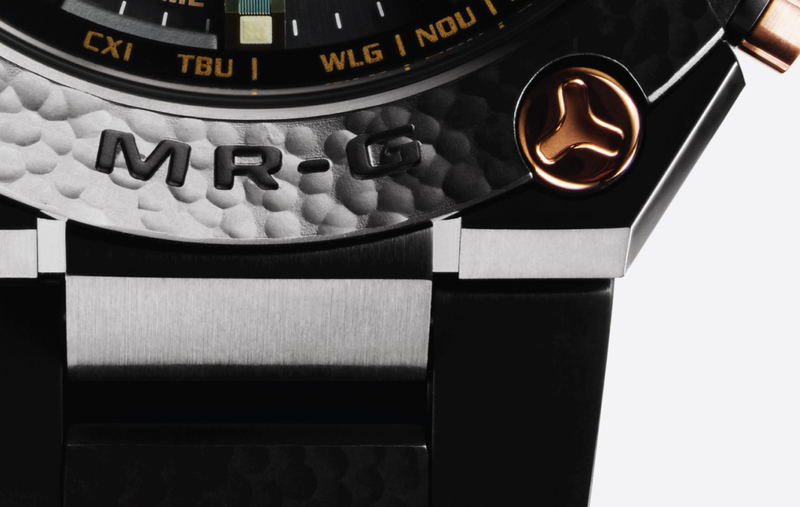 To achieve the unusual silvery-grey finish on the bezel and bracelet, a finish known as oboro-gin (“hazy silver”) was applied. Oboro-gin is historically used for Japanese sword (katana) accessories, just like the akagane (“red metal” or copper) finish on the bezel screws, pushers and crown. 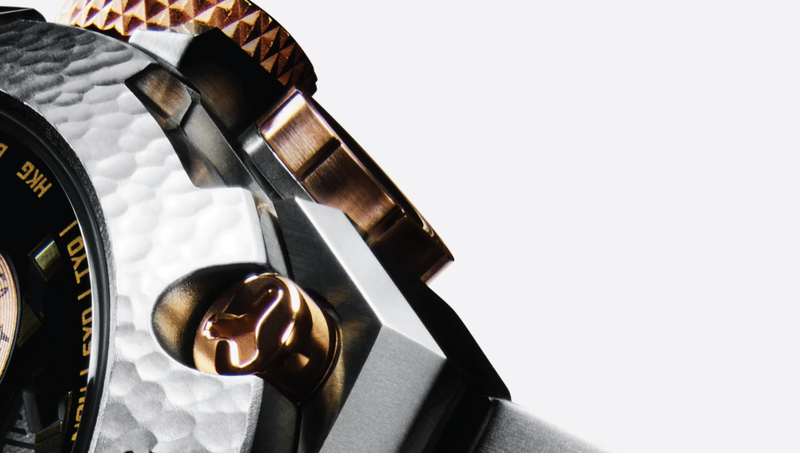 While the case finish is eminently traditional, the electronics of the watch are leading edge. 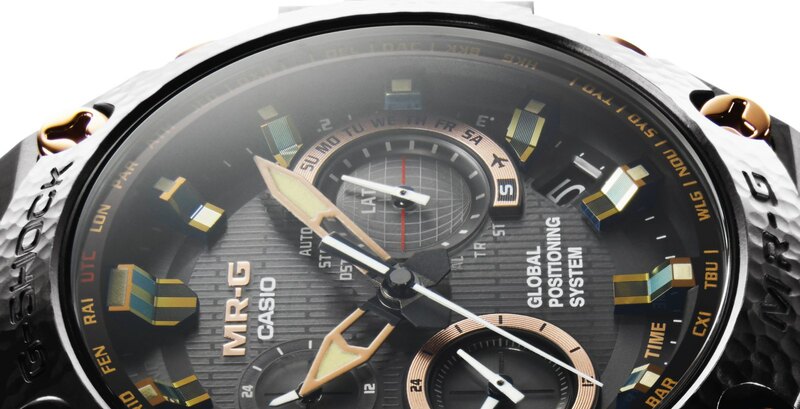 The movement syncs with both Global Positioning System (GPS) satellites and radio time signals, ensuring it is always spot-on. In addition it has a world time function, stopwatch, countdown, alarm, perpetual calendar, battery level indicator and LED illumination. 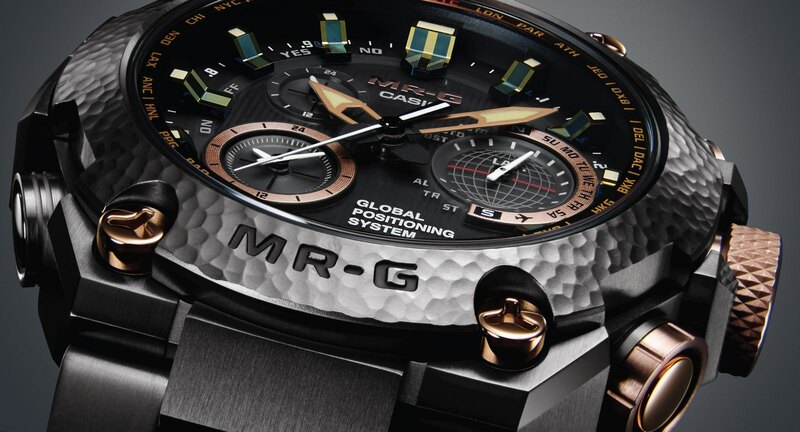 Charged by solar cells on the dial, the MR-G 20th Anniversary will run for 18 months on a full charge, with the power saving mode turned on. With a look that is typical of Japanese electronics, the dial is extremely complex, with numerous markings and indicators. However, it is constructed as elaborately as it looks, being three-dimensional with applied markers and sub-dial rings. 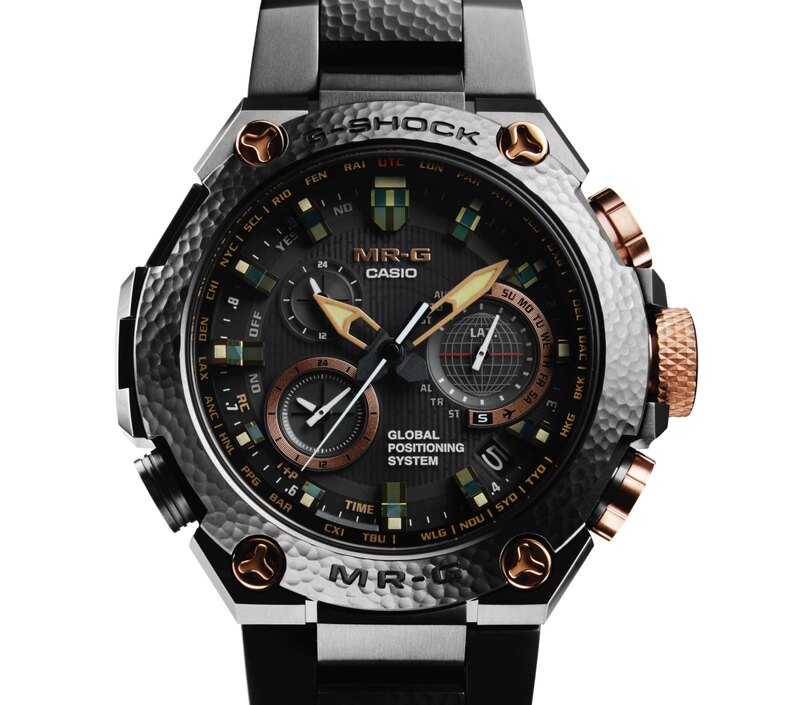 Like most G-Shocks, the MR-G 20th Anniversary is a large watch, measuring 49.8mm in diameter and 16.9mm high. But being mostly titanium, it is relatively light, being just over 150g. Limited to 300 pieces, the G-Shock MR-G 20th anniversary (ref. 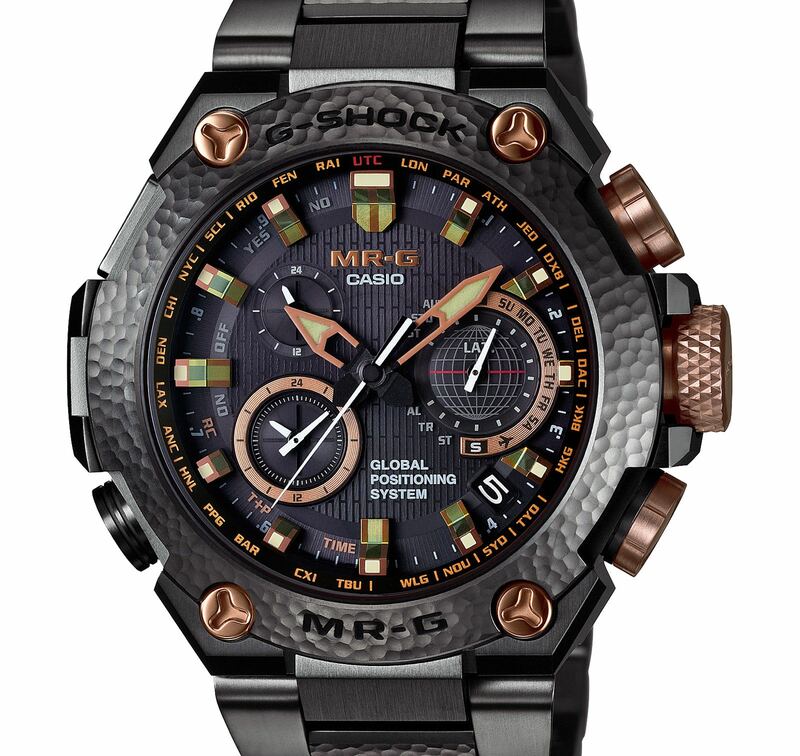 MRG-G1000HT) retails for US$6200 or S$8888. It will be available from G-Factory stores and select retailers worldwide; in Singapore it is available at Cortina Watch. Lange 1 and Little Lange 1 with guilloche dials.